Now's the best time to grab a Nokia! Eyeing a Nokia phone of your own? The time to act is now! Nokia is currently offering deals and discounts to select smartphones now until August 31. The phones with promos include the Nokia 8, Nokia 6.1, Nokia 5, and the Nokia 3. The biggest deal is no doubt the Snapdragon 835-powered Nokia 8, which got a big price-cut. 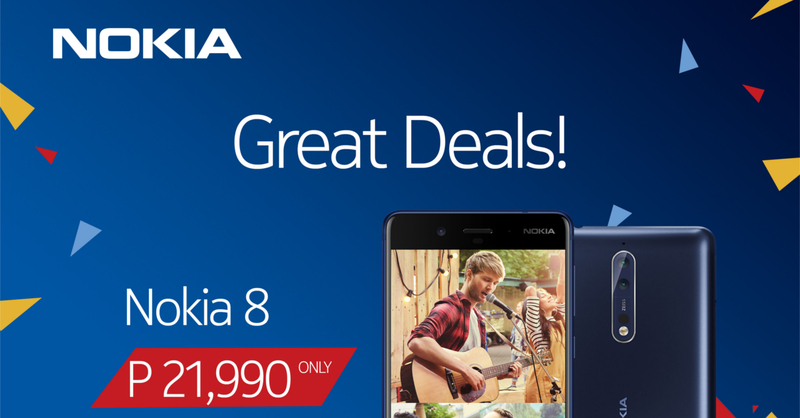 From its previous price of PHP 24,990, Nokia is slashing the 8s price to PHP 21,990 until the end of August. The Nokia 5 meanwhile, is getting a similarly good deal. 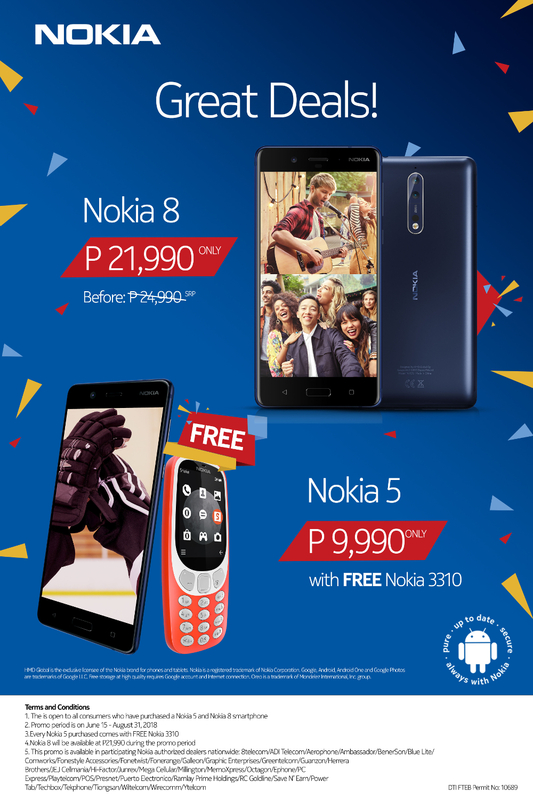 Every PHP 9,995 purchase of the Nokia 5 includes a free Nokia 3310! Nokia’s latest phone, the Nokia 6.1, is also getting a nice promo. Every purchase of the 6.1 will give buyers a free JBL T450BT speaker (the 6.1 costs PHP 15,990). Finally, the Nokia 7 Plus and Nokia 3 can be bought in installment plans through Home Credit. The Nokia 7 Plus is available for PHP 21,990 at a 9-month installment period, while the Nokia 3 is available for PHP 6,490 at a 6-month installment period. Visit any authorized Nokia reseller, including MemoXpress, argomall.com and Lazada, as well as any Nokia store, kiosk or exhibit to enjoy these deals. Next articleRevisions is an exciting new anime coming to Netflix next year!